Date of Birth / Age / Birthday 5th May 1985. As of 2019, his age is around 34 years. Marital Status / Marriage & Wedding / Wife Currently Married. His wife is the actress Khushboo Tawade. Sangram’s native place is Kolhapur, but now lives in Mumbai. His height is around 5 feet 9 inches. His debut serial ‘Devyani’ and his role as Sangram was well received in the audience. His strong dialogue delivery and his famous line “Tumchyasathi Kay Pan” became a well-known line in Marathi Televison. Mala devyani serial khup avdli. 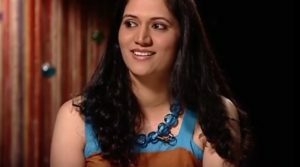 Tumhi punha akda devyani sobat serial madhe ya. I amm most very most fan you. Mala plz tumcha number milel ka. Mala tumhala aamcya yethe karyakramala bolvaycha aahe. Plz. No milel ka jar mala no denar aasap tar mala. Mazya email var msg taka nahitar ha maza no 8419936021 an 7977908889. Plz sir mala tumcha no tyana. I am. Your very most fan.